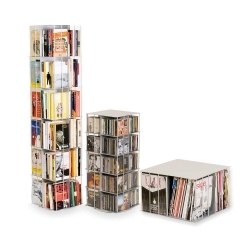 Bookshelves There are 32 products. 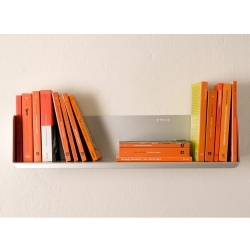 Anodized aluminium shelf with borders. 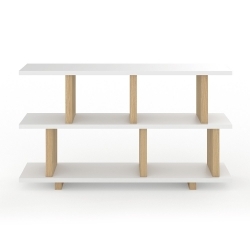 Shelf steel with clean lines and minimal design. 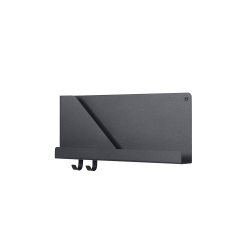 Each shelf, made by Acrylic powder coated bended 1.5mm sheet of steel, is equipped with two bolts for mounting on the wall and two hooks. 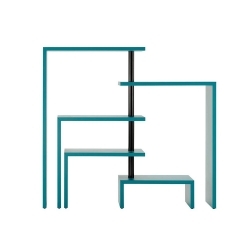 Those shelf are ideal for use as a bedside table, in the bathroom, hallway, kitchen, office, etc; The practicality of these shelves joins the pleasant design from view. 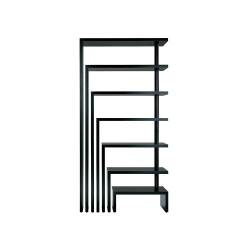 Metal and oak shelving system, available in different sizes depending on the needs. 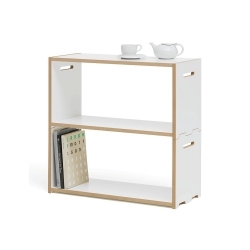 Stacked by Muuto is a modular shelving system, that can be combined depending on the needs and tastes with endless possibilities. 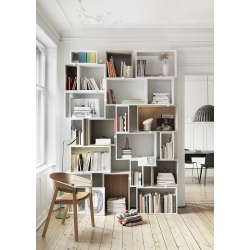 Expandable and modular library system, to meet different needs. 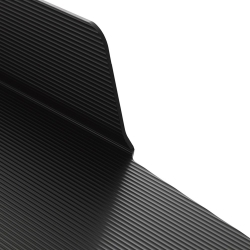 Certain things become so strongly associated with an era that they become timeless. 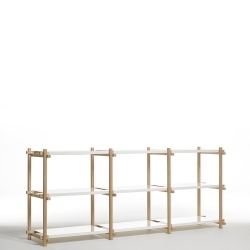 This is certainly true of Nils Strinning’s shelf system, String, which was designed in 1949. 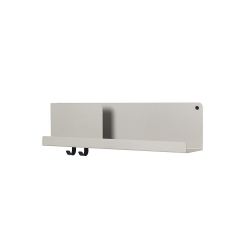 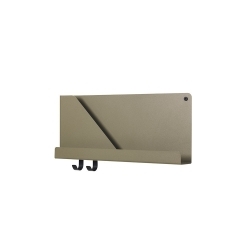 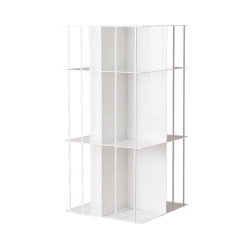 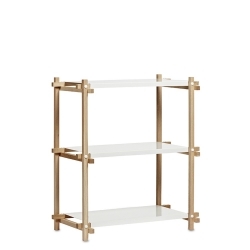 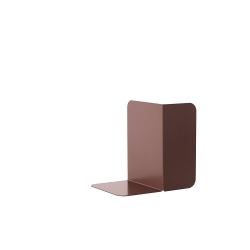 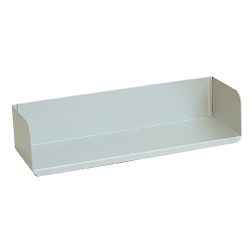 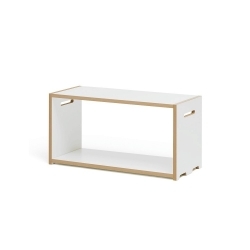 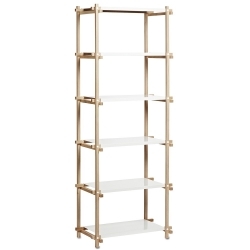 Wall metallic shelf, one version has a bookstand. 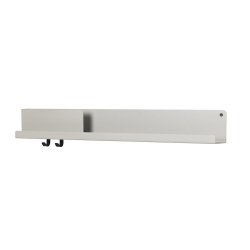 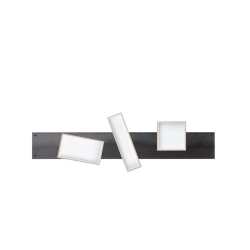 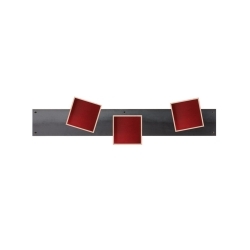 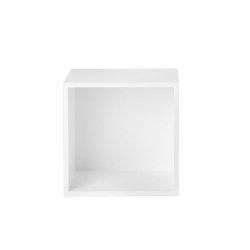 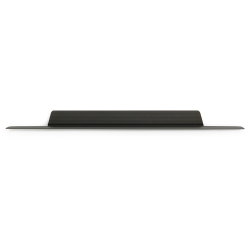 As simple as elegant wall shelf made of transparent or colored mass-plastic thermoplastic. 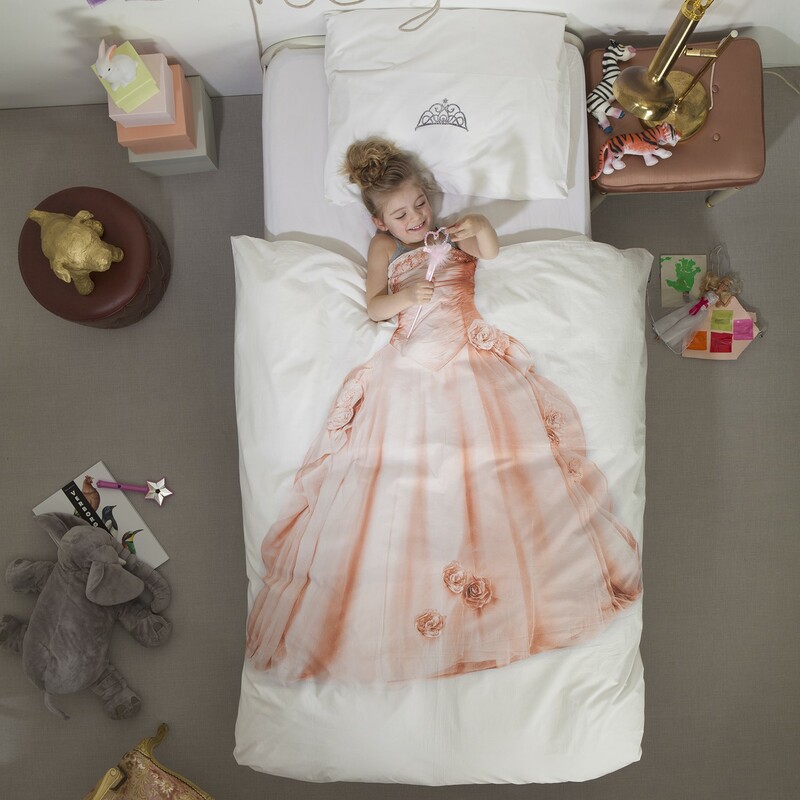 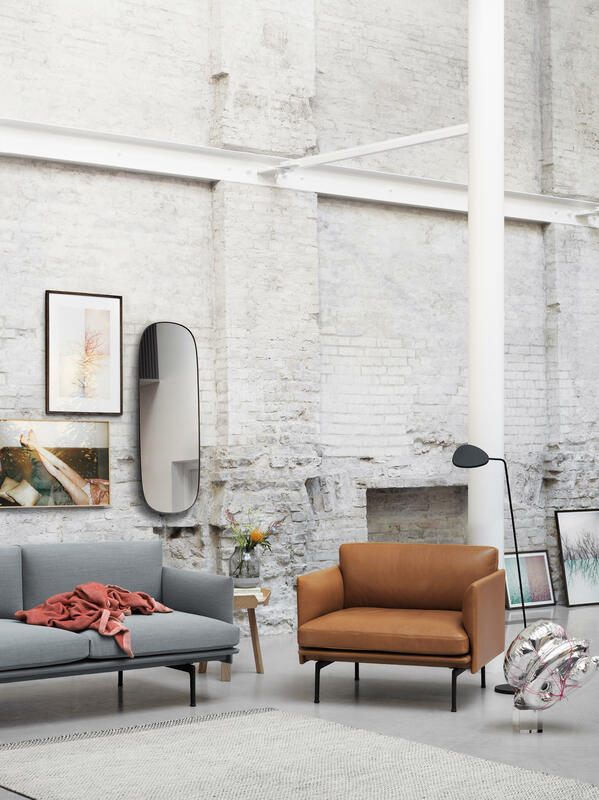 Whether alone or in composition, it is perfect to give color and light to the walls of any environment. 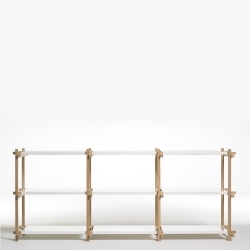 The self-supporting system Krossing rotating is composed by simple elements such as tubes and shelves. 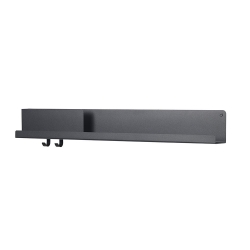 Magnetic shelf system. 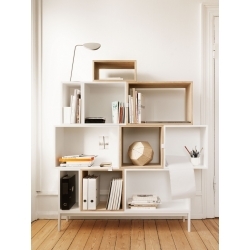 It allows you to change the position of the boxes every time you want. 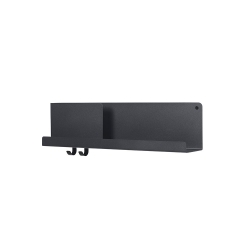 A shelf with a rough industrial look, this is how the Jet Shelf presents itself as an alternative to the usual wall shelf. 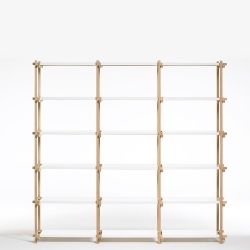 Library customizable, thanks to the magnets placed at the base of the walls. 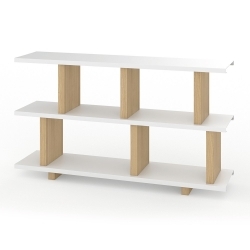 A five shelves desk designed by Achille Castiglioni in 1989 for Zanotta. 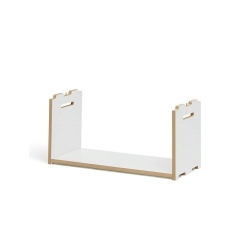 A seven shelves desk designed by Achille Castiglioni in 1989 for Zanotta. 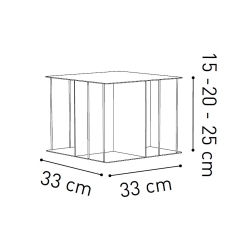 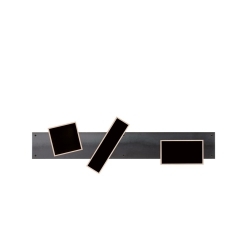 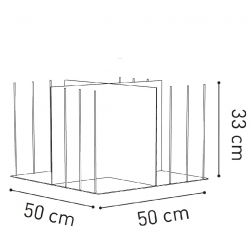 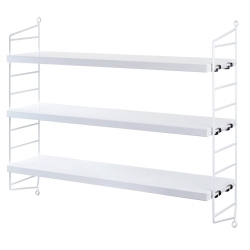 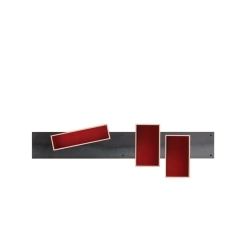 In this category you will find a wide selection of shelves. 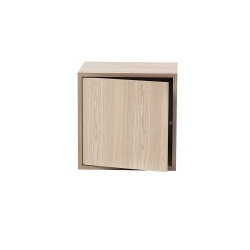 Craft quality and clean lines embrace the books and improve the environment in which they are insert in. 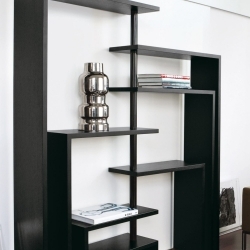 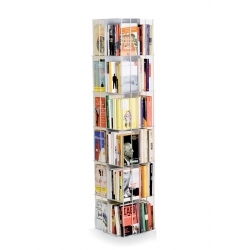 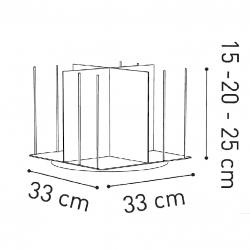 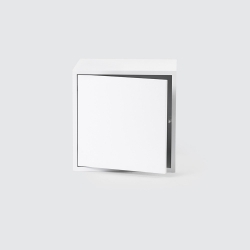 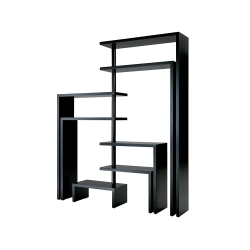 The models available are different to meet any need: floor bookcase, self-supporting, wall mounted or modular. 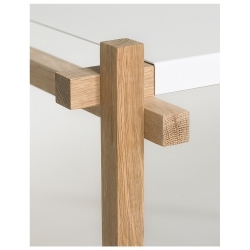 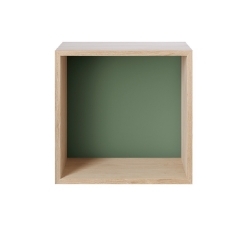 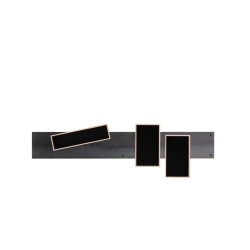 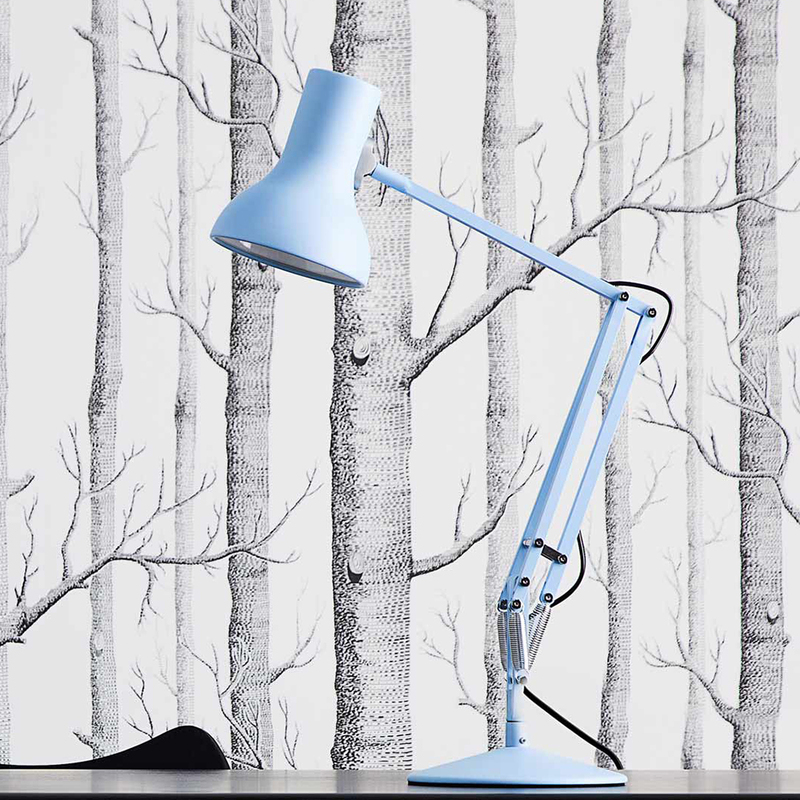 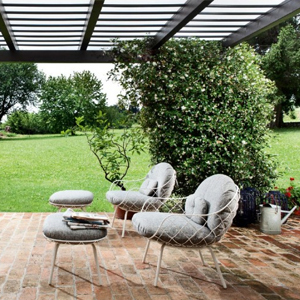 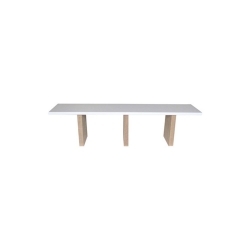 Finally, choose the finish that best suits your space between wood, laminate, metal, lacquered. 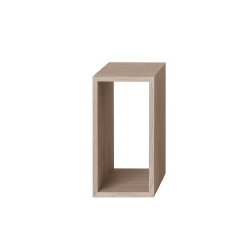 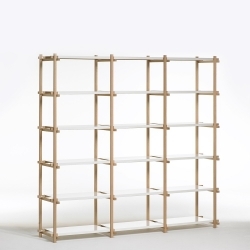 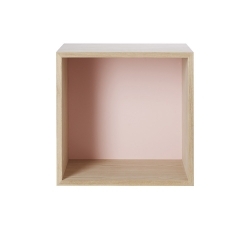 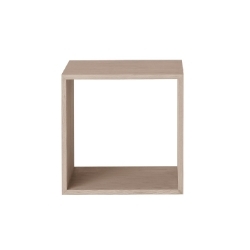 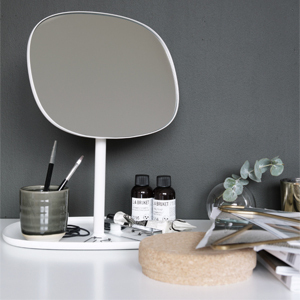 Whether you are looking for a Scandinavian style or great Italian design classic, the shelves you will find in this category are produced by the best design brands: HAY, Muuto, String Furniture, Normann Copenhagen, Kriptonite, Magis, Kartell, Mormann, Moroso and many more.